The Hernes Estate is able to offer a charming self catering cottage for weekend, mid week or weekly lets. Situated in a corner of the Estate but not isolated, it has its own enclosed garden and overlooks the neighbouring fields and animals. 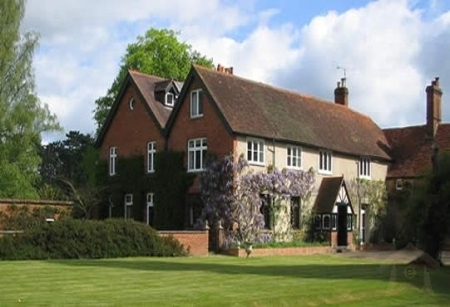 It nestles in the heart of the Thames Valley and the Chilterns to the west of Henley-on-Thames in the pretty village of Rotherfield Greys it makes an ideal base from which to explore this enchanting part of England. Not as well known as the Cotswolds (though it is within easy reach should you wish to go there) this area is an unsung pearl in the crown of English heritage. Within a 30 mile radius of our home there are a wealth of places to visit and things to do and not quite so many people. To the south there is a rail/air/bus link service and a high speed rail link at Reading (8 miles), the M4 and Gatwick (62 miles); High Wycombe (12 miles) and the M40 to the north; Windsor (15 miles), Heathrow (22 miles) and London to the east and Oxford (24 miles) and Stratford upon Avon to the west. To request more information on tariff and availability please contact us by phone and Email.